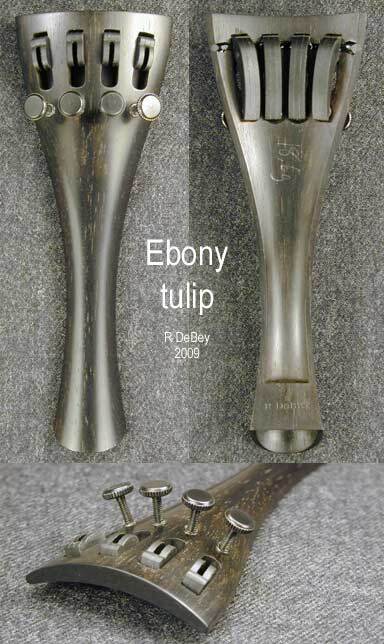 I think the Wittner Ultra composite tailpieces are the best new development in violin fittings in many years. 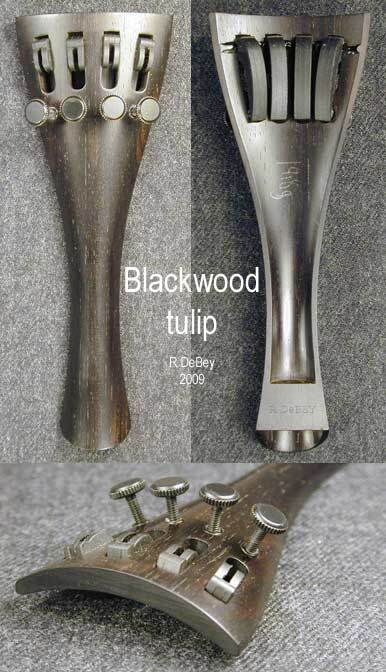 The adjusters have a wide range of adjustment at a weight comparable to a wooden tailpiece with a single metal adjuster. Many people prefer wood, however, so I developed a way to put the Wittner Ultra adjustment mechanism into a wooden tailpiece. I shape my tailpieces by hand from solid blocks, then machine openings for the adjusters. 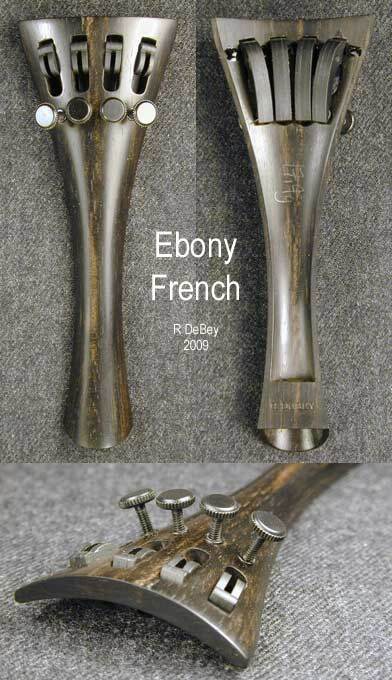 Ebony violin tailpieces, French or tulip-style, are $150 plus shipping. 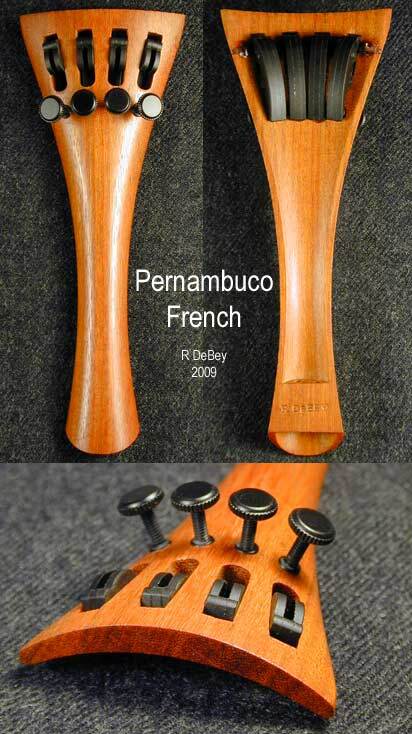 African Blackwood and Pernambuco violin tailpieces are $180 plus shipping. 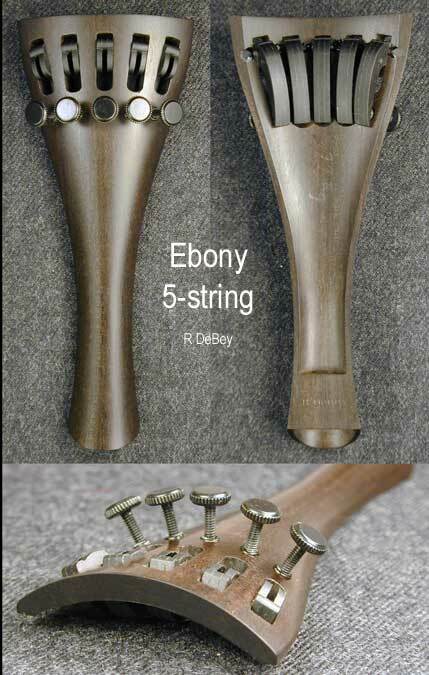 The ebony 5-string violin tailpiece is $200 plus shipping.